Don’t forget to bring your friends! Sometime ago Gabriel asked me if I could give him help with the Banshee repositories for openSUSE; This repositories have many users hanging around and some packages are enabled on other projects, which makes them somehow sensible to deep changes. Today I’ve pushed to openSUSE:Factory Banshee 2.0.1 (latest stable release) and a few packages which live in the Banshee repository. I’ve also submitted a deletion request to ipod-sharp which is no longer maintained and was replaced in the past for libgpod. * A few cleanups on the spec file for unsupported platforms (SLE11 and SLE11SP1 do not meet the requirements for this version and superior). Once this is implemented and tested I will look into Banshee:Alpha and see the best way to start building daily/weekly snapshots using the OBS magic available and some magic tricks hidden in Dimstar’s sleeve which kindly accepted my request to give me a hand on such evil task. In the future, on the next stable release (2.2.0), I’ll move the changes from Banshee:Unstable to Banshee and hopefully change the development repository to Banshee (as if Factory has the latest stable release it makes no sense in having Banshee’s development repository in Banshee:Unstable) and synch all at once. Users subscribed to Banshee:Unstable repository might see some turbulence during the next days, while users subscribing now through the 1-Click installer will already be installing Banshee with the changes described above. We are not visible enough for LibreOffice to include the required stuff for our language… Lets do this before Ubuntu… bnc#688200. 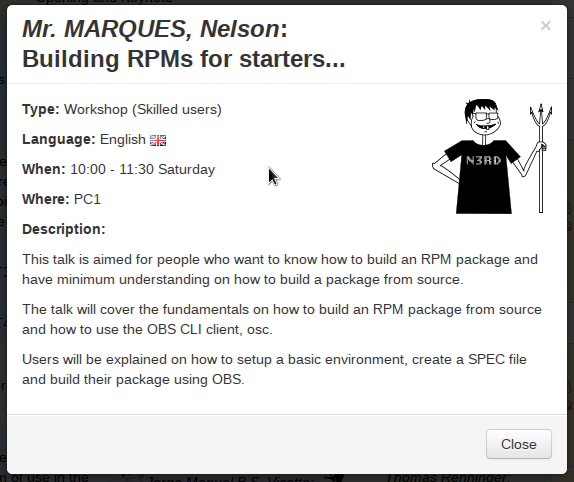 Posted in Miscellaneous | Comments Off on LibreOffice and European Portuguese! In the past days I’ve been packaging and fixing some issues on Unity 2D for inclusion on the GNOME:Ayatana repository in the openSUSE Build Service. This gave me an excellent opportunity to test a few components share by both, Unity and Unity 2D, which is the case of ‘unity-place-applications’ and ‘unity-place-files’, both using Zeitgeist which is already in Factory for the upcoming openSUSE 12.1. We thank the integration of this packages to Federico Quintero. Thanks Fred. A few more additional packages need some care and once they get updated and tested they will be uploaded to GNOME:Ayatana, at which time I will provide an installer (1-Click) for those willing to test Unity-2D. Unity 2D will be the first application to use the indicators I have prepared in the past which all all found working, except 1, the AppMenu (strangely it works on GNOME2 panel without issues). This is how Unity 2D looks like. There are transparencies because I enabled ‘composite’ on metacity, which works very nicely. As far as I could understand, the developers of Unity 2D are also looking into implementing Compiz with Unity 2D, which would be sweet. Unity introduces the ‘dash’ which is pretty much the following screen. 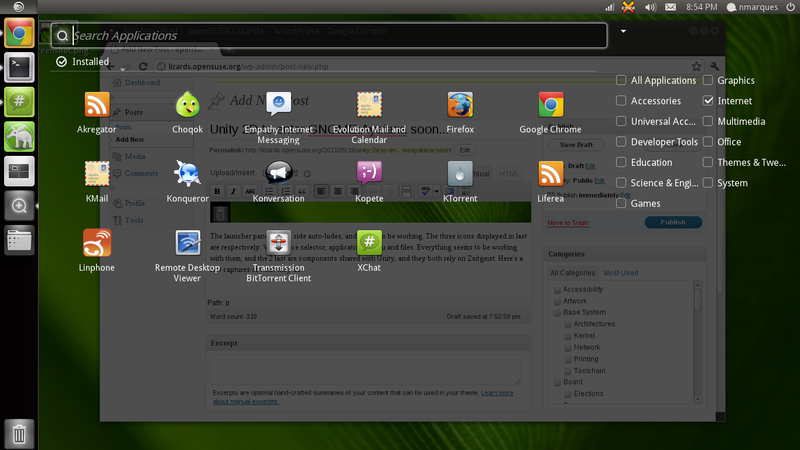 Transparencies are enabled (though metacity composite) and the notification bubble belongs to NotifyOSD (already present in openSUSE 11.4 as optional). This is one of the three issues I have to fix, the icons displayed on the dash should have text underneath, it’s not showing. 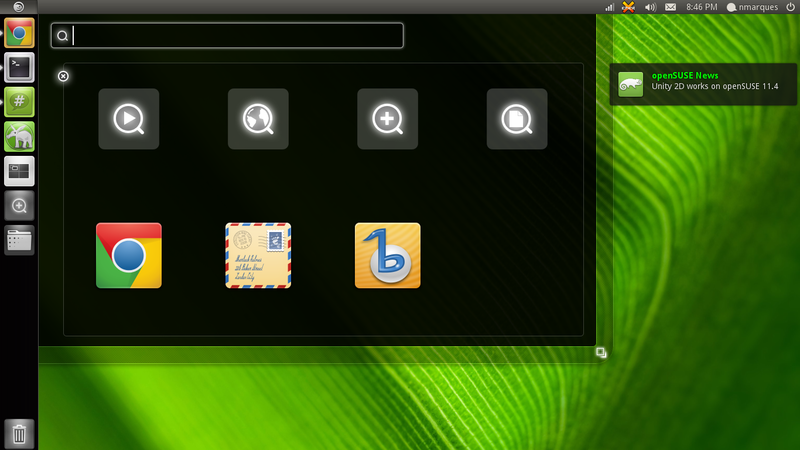 The top icons are quick links to Program Categories and the ones bellow are the default applications which are setup in GNOME. 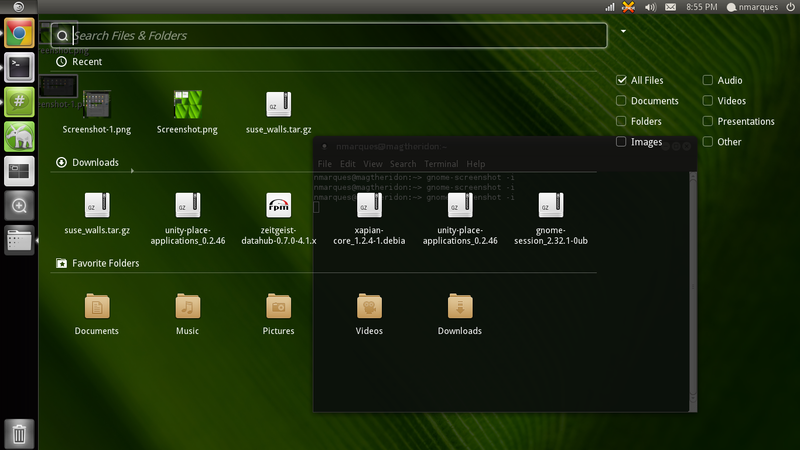 – I tried not to have the need to patch gnome-session, but since Unity relies on the Session Indicator to have this functionality, gnome-session will need to be patched (should be ok, because it also requires the backport patch for defining –sessions for openSUSE 11.4). – Unity 2D itself relies on a few gconf hacks that should be on a schema file. I’ve talked to upstream and this is planned already, so once it’s release, that’s when it will be published. – There’s one issue also with backgrounds and workspace switcher… unfortunatly the workspace switcher only renders wallpapers if they are in image format (no .xml stuff), so this can turn some wallpapers not to render, which eventually ends up in the background of the switcher being the one defined in GNOME as solid color. Last week I’ve received an email from Bruce Byfield asking a few questions about this project. I’ve replied honestly as I would to anyone, I’ve faced several issues, and it sounded wise to me to hold a bit this. Since the Beta release of Natty that I’m following a technology forum in Portugal (over 150.000 users) and making a few notes on what peoples perceptions are about Unity and Natty. From what I see amongst this segment of the Linux users in my country, it’s interesting… While legacy users are moving away from Ubuntu to other alternatives seeking GNOME3 (no one seems to be moving from GNOME/Unity to KDE), others are satisfied with Unity. The biggest problem with Natty users so far comes regarding Networking issues and hardware compatibility… and once more Ubuntu’s kernels seem to be driving some people to desperation with the classical MCE’s. 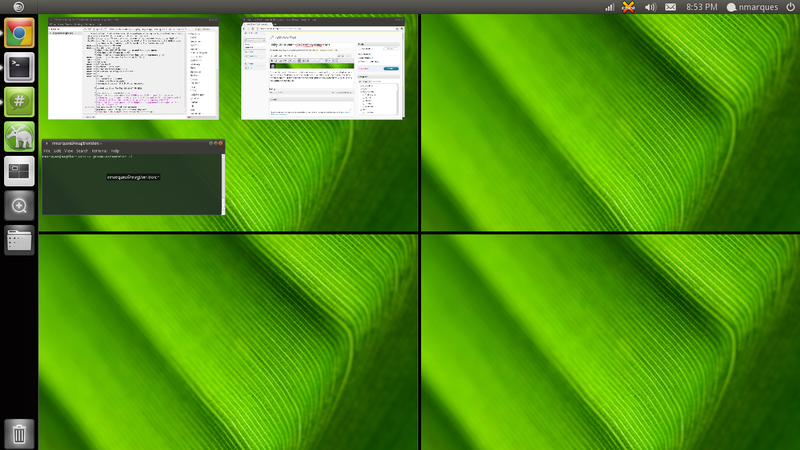 A few days (4 days ago), Compiz 0.9.5 has been released. I’ve taken a look on the Ubuntu package and the patch level has dropped substantially, which points that upstream has absorbed most of them. Dominique already has 0.9.5 prepared on X11:Compiz (though the version needs a bump on the spec) and I’m going to test them out and start branching them over to GNOME:Ayatana during the next days and depending on the availability of reviews. This should be peaceful. 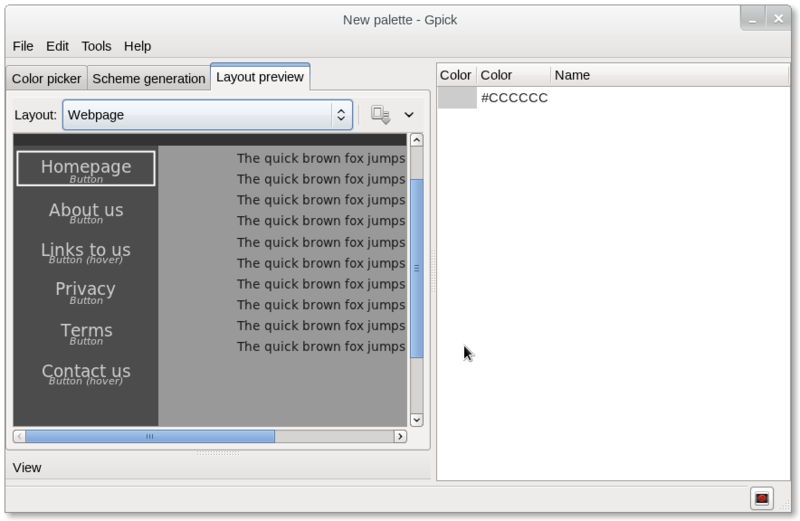 For this repository I’m going to enable a small pattern to provide a simple 1-Click Installer for Compiz alone, this means that people will be able to test the patched version of Compiz in which Unity will be build upon in the future. After Compiz is established on GNOME:Ayatana, I’m going to get back to Unity and prepare Unity2D for deployment (being Unity a task for the future). Now if some people wonder why all of this innactivity? The answer is simple… GNOME3 was being prepared and launched, and it deserved all the spotlights! Now that GNOME3 has proudly established itself on it’s segment and despite the press attacks, the communities I keep tracking, I see what seems to be a substantial increase of interest on GNOME3. I would personally consider GNOME3 launch a success. A few days ago I was wandering on the openSUSE Forums, once more in the games section when I saw one more post from one of our users asking for Unknown Horizons… I’ve search a bit and found 2 entries on OBS (openSUSE Build Service), one for Fedora packages and another for openSUSE packages. I’ve joined #unknown-horizons on FreeNode and found out that Unknown Horizons is very active and people are very nice. I’ve made a few questions around and offered myself to package this nice game for openSUSE (home:ketheriel:UnknownHorizons). Some of the dependencies are provided by the games repository, to which I want to submit the major releases, and if possible enable builds for Fedora (and friends). 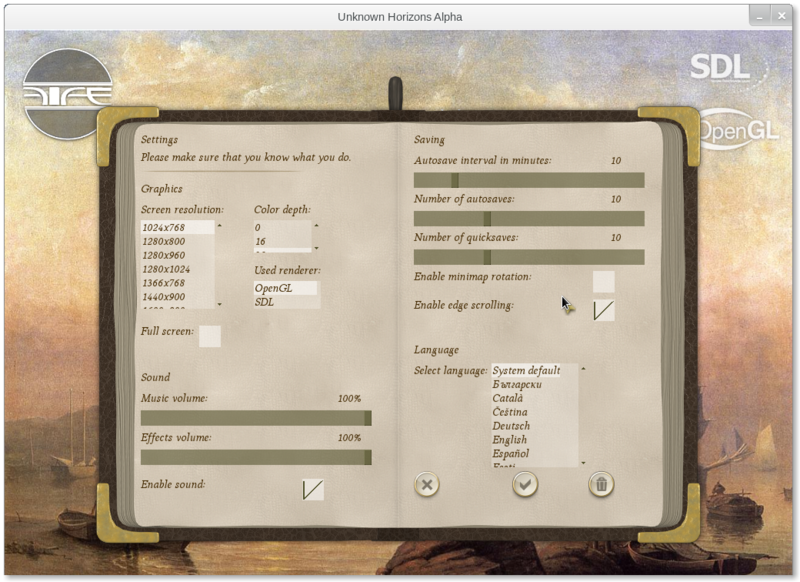 The 1-Click installer can be found on Unknown Horizons download page. 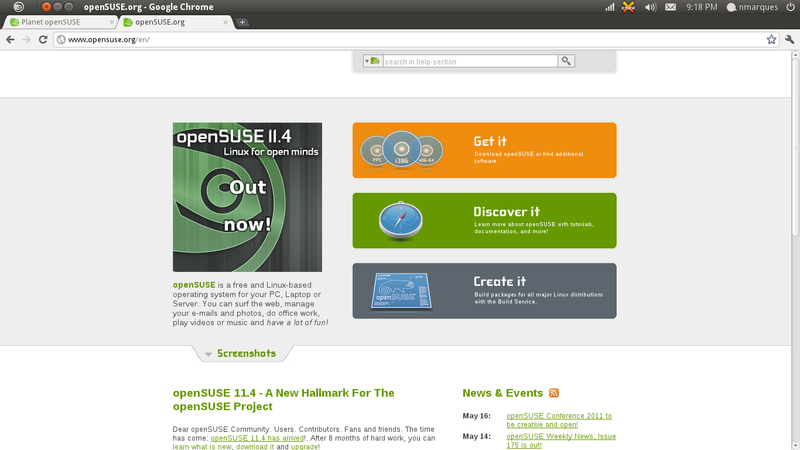 There’s also a nice article (bumping ego) about the new openSUSE packages on Unknown Horizons webpage! This is a title that all openSUSE users who like RTS games should try (supports openGL and sdl) and is powered by the FIFE Engine. 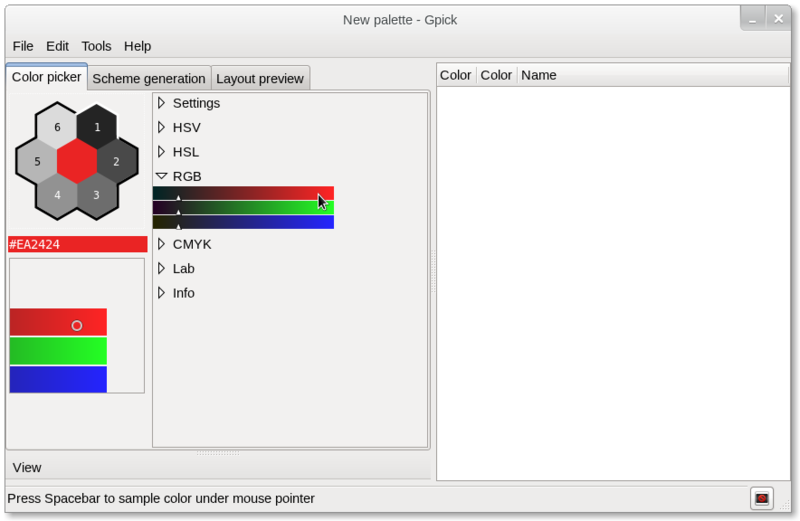 It was brought to my attention through I article (german) the existence of gpick, an advanced and high featured color picker. 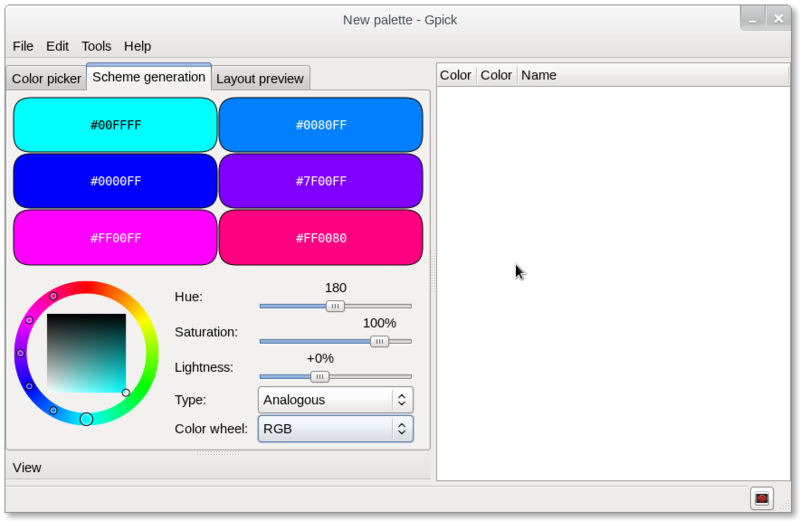 I’ve taken a quick look at it to make it available for openSUSE as it seems an interesting tool for artists and web designers (maybe GTK3+ themers) and others. To build this package a few files are generated with the Lemon Parser Generator which isn’t really available. I’m contacting upstream regarding the possibility of including the generated files in the tarball, or eventually if that fails, I’ll probably need to include lemon.c, hand compile it and hack scons build to use the local binary to generate those files. The screenshots have a tiny glitch on an icon, this is mainly because I haven’t rebuilt the icon cache when I took them. 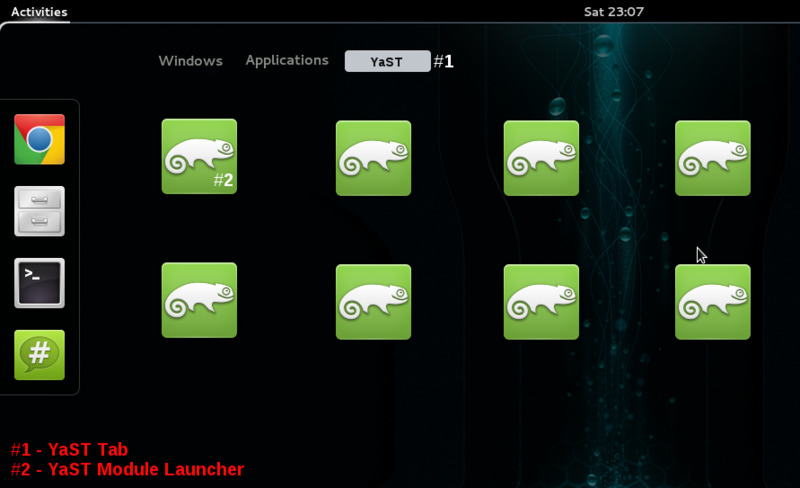 I look forward to explore the possibility of having such a great tool available for openSUSE 12.1. UPDATE: I’ve made available a small test package on home:ketheriel:gpick (needs some work before submitting to factory) which should be working. Any testing/feedback will be most welcomed. 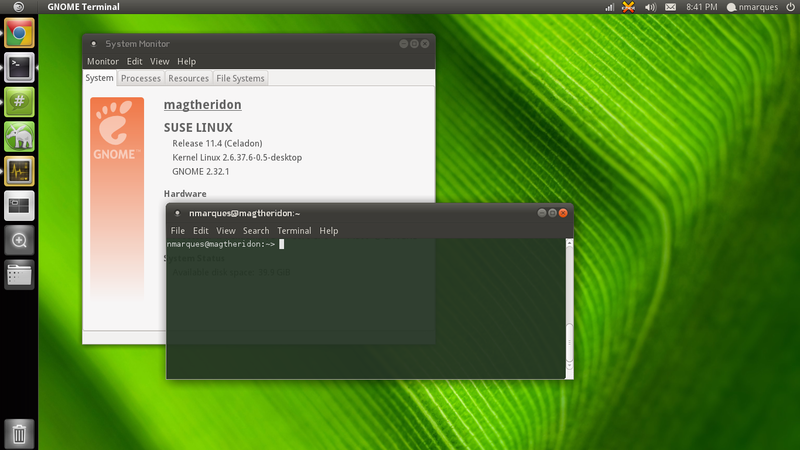 Also enabled builds for Fedora 14, since I believe this package isn’t available for Fedora. Yesterday I’ve seen in facebook a few photos by Chuck Payne from the Marketing team showing his collection of SuSE materials… I do have a few ‘vintage’ items as well… Back in 98 when I tried SuSE Linux 5.3 for the first time, it was somehow expensive to burn DVD’s and I was hanging around on a 56K line back then, so pulling them over the internet was not really an option. 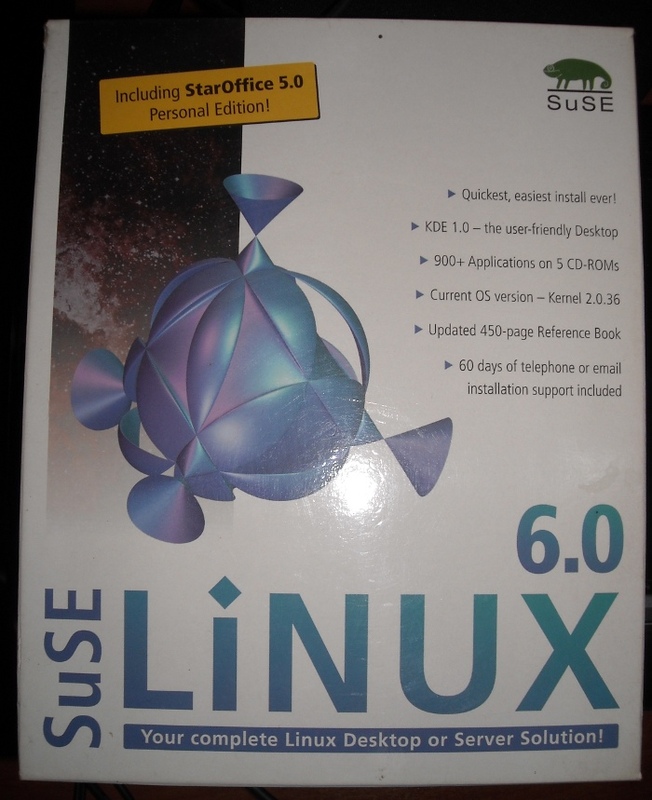 I liked a lot my first Linux experiences, so still hanging on a 56K modem, I’ve decided to purchase SuSE Linux 6.0 box edition from a Linux reseller in Lisbon. 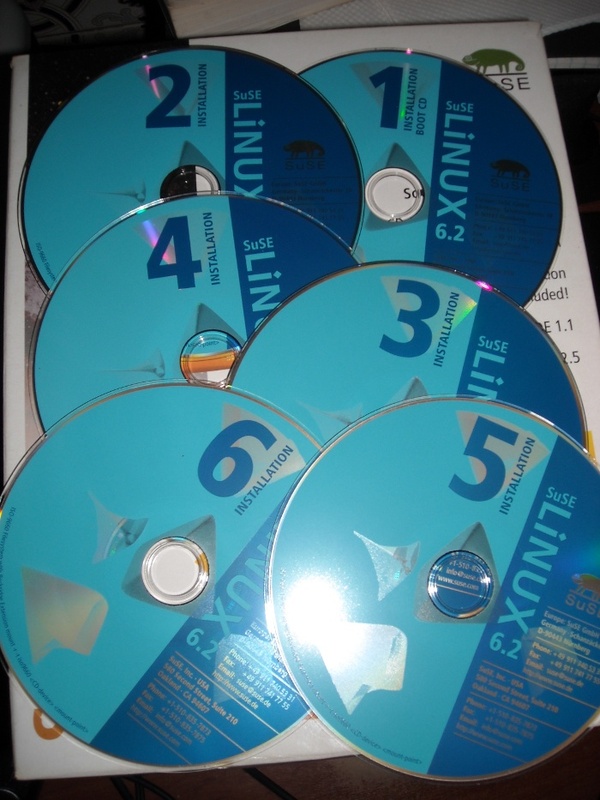 I still remember the thrill of picking up the package at the post office and rushing home to try out my Linux distribution of choice (Red Hat 5.1 didn’t last for long). 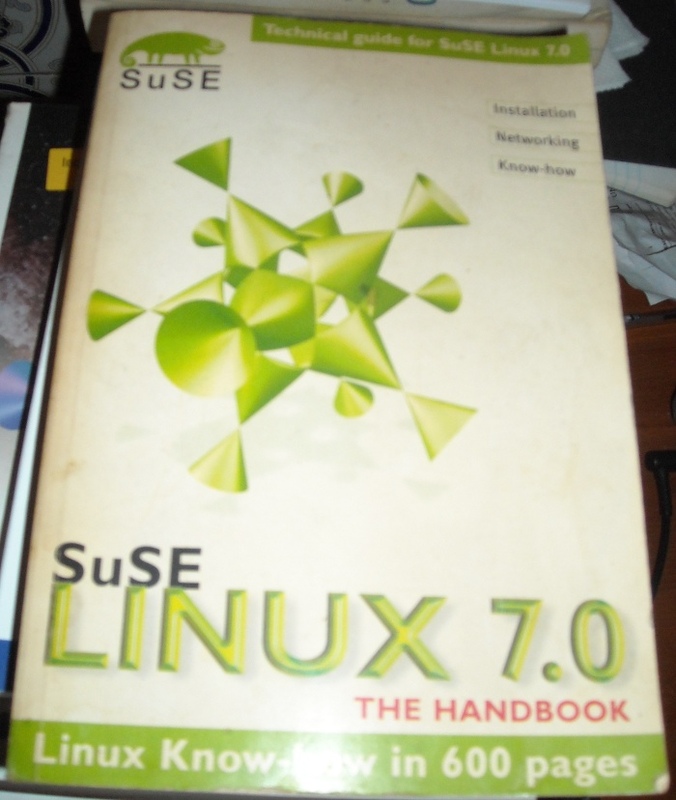 I’m also happy to say that this box provided my first Linux book, the awesome manual provided with it. I’ve ended up using it for years. 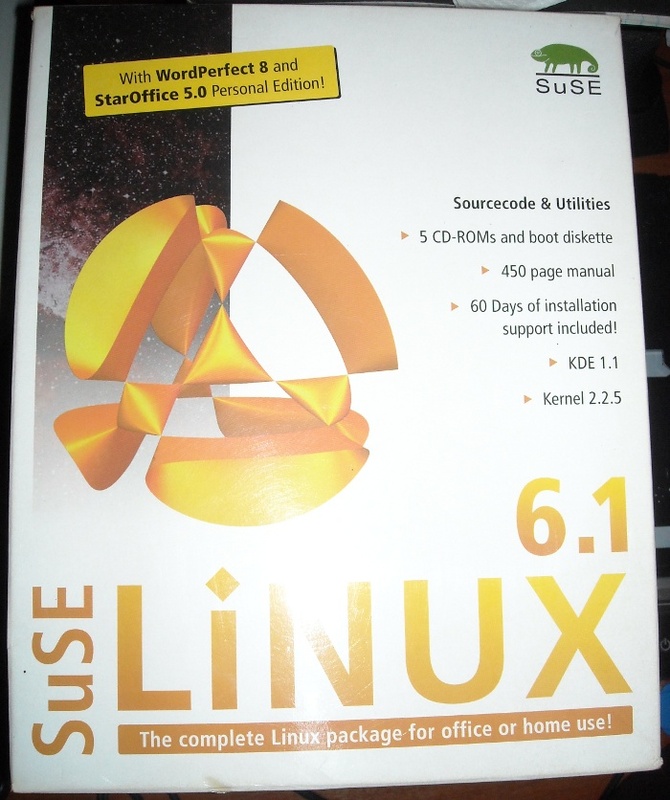 SuSE 6.0 started a tradition and the swap to 2.2.x kernel made me purchase once more the latest release of my preferred Linux distribution. Still enslaved with a 56K modem link, after a pleasant 6.0 experience, this became a must in the old ‘internet warrior’ days. SuSE Linux 6.4 was the last SuSE release I’ve bought… at this time I had already cable available and wasn’t living anymore under the 56K nightmare… at work I also had a 2Mbit line available and pulling out stuff was not an issue… This was the 2nd release which featured a graphical installer (implemented on 6.3 I think)…. Red Hat provided for this event around 50 stickers, Sun Microsystems provided 400/500 Star Office 5.1 official media! All this goods were distributed during the event from which sadly I don’t possess photos anymore. It took place in the Cultural Congress Center of Aveiro with the support of Aveiro City Hall and local hardware manufacturer (who payed the bills). We had 3 national linux resellers from SuSE, Red Hat, Debian and Slackware present. The event was a 2 day mega LIP (Linux Install Party) and show Linux room featuring KDE, GNOME, hardware support and multimedia capabilities. This was one of the nicest features of buying a box edition (besides the stickers and media). SuSE Linux shipped always with very elegant boxes with awesome polygons (the boxes are actually very nicely manufactured). This manual was like a field manual for a powerful Linux experience… the day saver for starters and professionals. 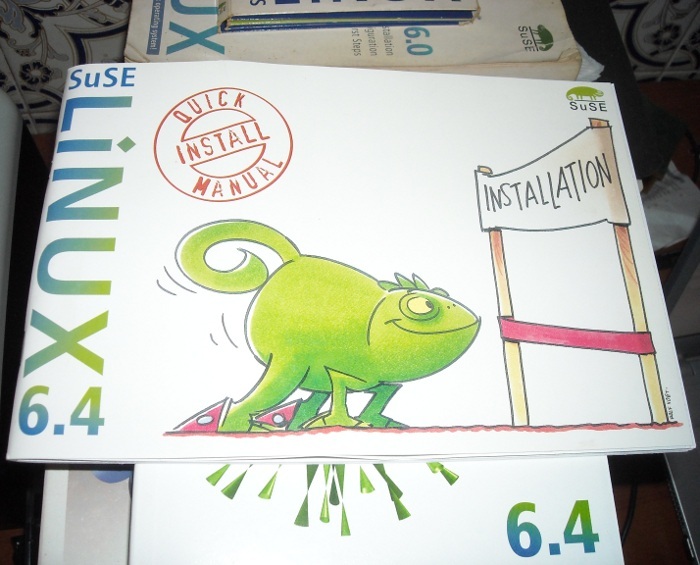 This is one of the reasons why I still advice newcomers to buy openSUSE boxed sets! The value presented on this editions is something really worth the money. For as much strange as this might sound… I’ve bought more SuSE Software than any other proprietary OS, in fact I only own a copy of Windows NT4.0 Workstation and a OEM License of Windows 7 (bundled with the laptop). Excepting console games, I’ve never payed for so much software as I did to SuSE GmbH! Only missing the cherry on the top of cake! Do you have one of this on your laptop ? 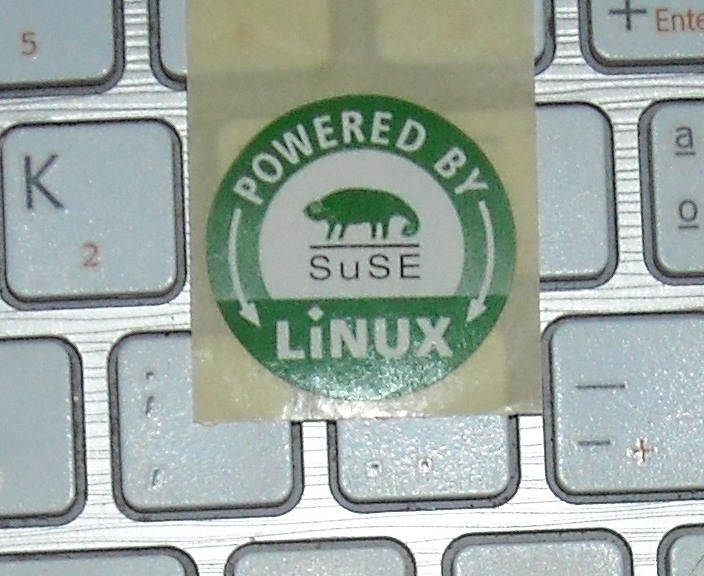 Powered by SuSE Linux sticker! 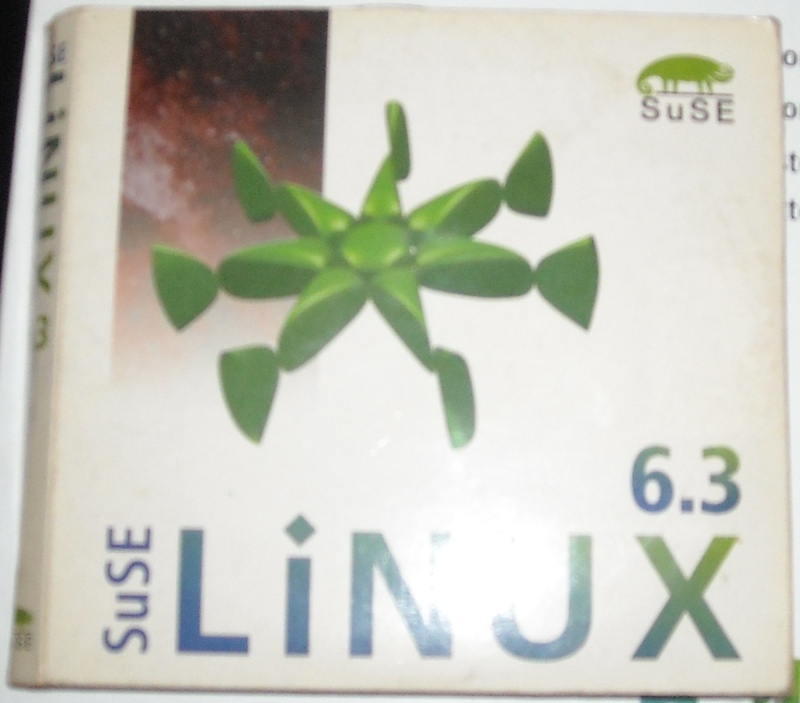 I don’t know why… just felt like sharing this old vintage stuff… I am proud to continue using openSUSE, which in my humble opinion delievers the same value that once SuSE Linux provided me! I am also proud to give a bit of my time to package one or another package and improve openSUSE, which also makes me feel like a part of this Linux distribution, something I would never image when I purchased those boxes! My great thanks to everyone who worked on those releases and is still around! A testimony that your work was enjoyed and appreciated!